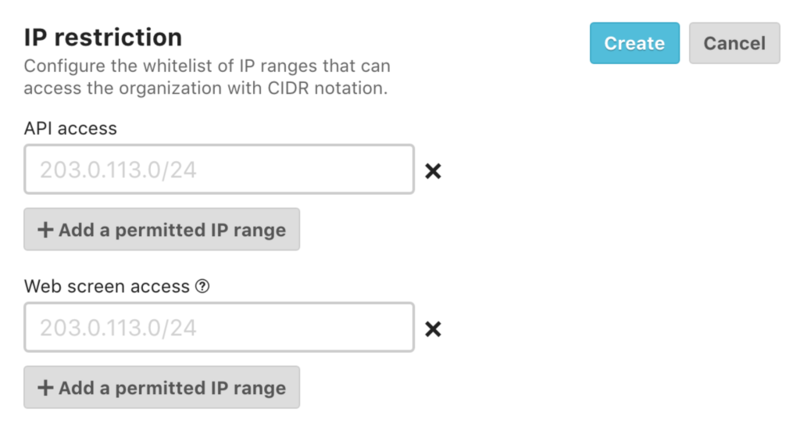 Access to an organization (Web UI access/ API access) can be restricted through IP address range specification. Restrictions can be set in the "IP restriction" section in the organization’s settings tab. Only users with administrator authority or higher can make these changes.